Michelle has over 17 years of experience working in the field of Educational and Developmental Psychology. She is highly skilled in delivering effective and individually tailored early intervention for children with Autism Spectrum Disorder, as well as providing thorough and detailed assessments to determine an appropriate diagnosis. Michelle has a strong background in supporting a range of psychopathologies, including; ASD, anxiety, depression, ADHD, ODD and OCD. She is also trained in the area of Clinical Neuropsychology. Michelle believes in a client-centred approach and works closely with families to ensure every session is productive. 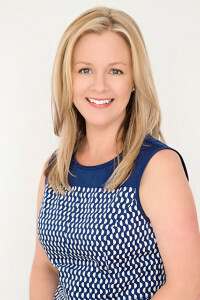 Michelle has worked within the Government, Independent and Catholic School systems over a ten year period prior to undertaking private practice. Michelle has established strong links with local specialists, early intervention teams, schools and kindergartens. Michelle is a member of the Australian Psychological Society and listed on the Autism and Pervasive Developmental Disorder (PDD) Identified Practitioners List. Michelle is also a DSS (previously FaHCSIA) approved service provider under the ‘Helping Children with Autism’ Government Initiative and trained in the Autism Diagnostic Observation Schedule (ADOS). Michelle is an accredited supervisor for Intern Psychologists through the Victorian Psychologist’s Registration Board.